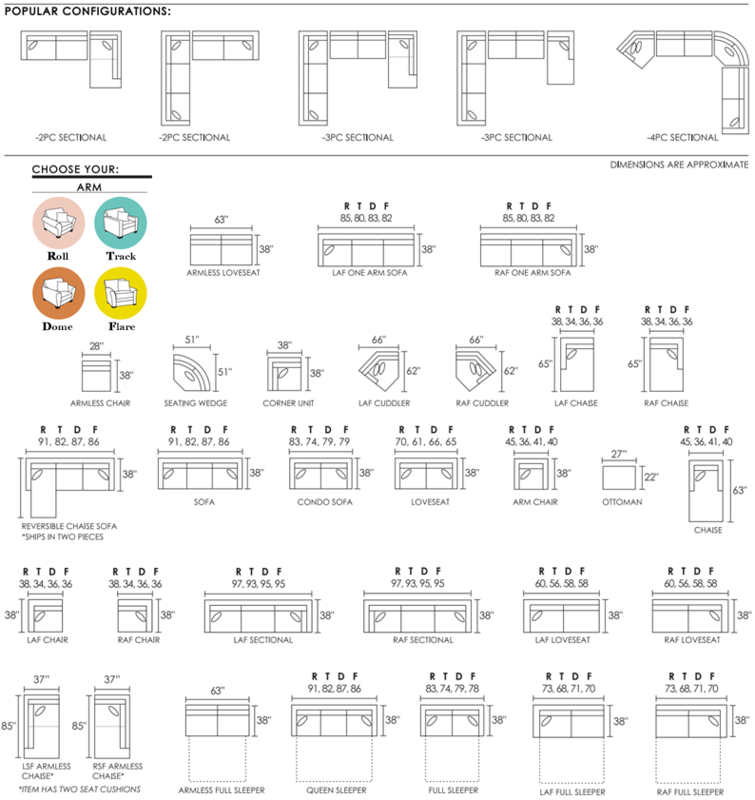 Display Model Dimensions: Multiple configurations available. Bring spacious seating and contemporary style to your home. 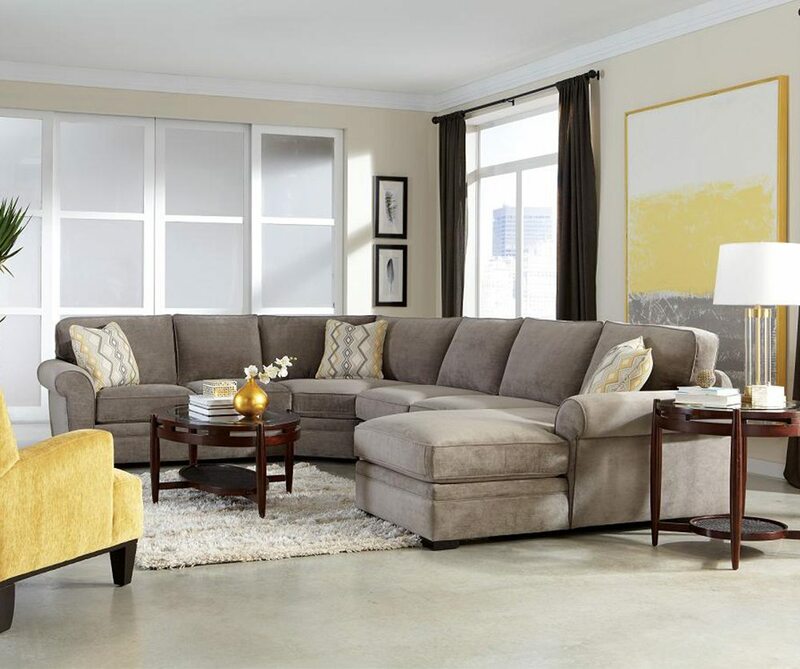 Track arms and block legs create a clean and crisp silhouette against the backdrop of any room. 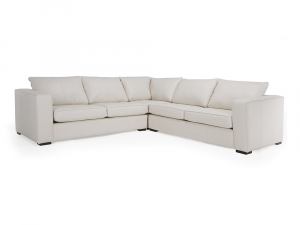 Sinuous wire springs and high-density seat foam make for a soft and supportive place to sit, always. 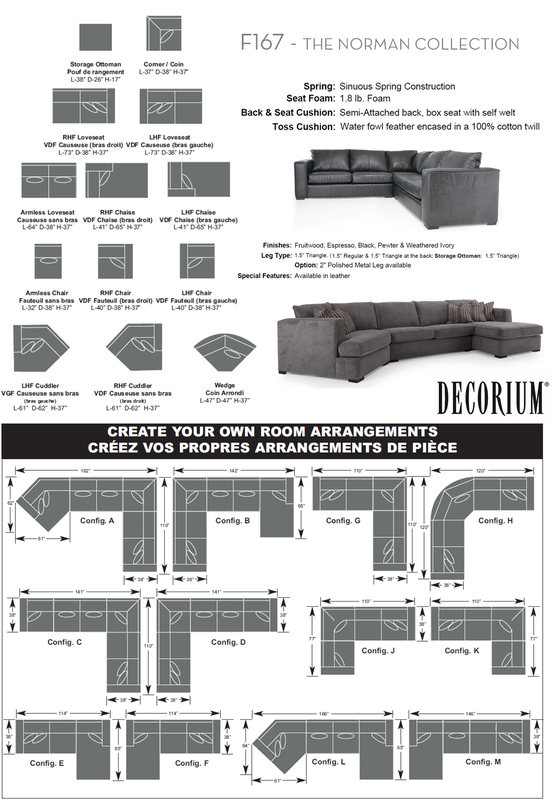 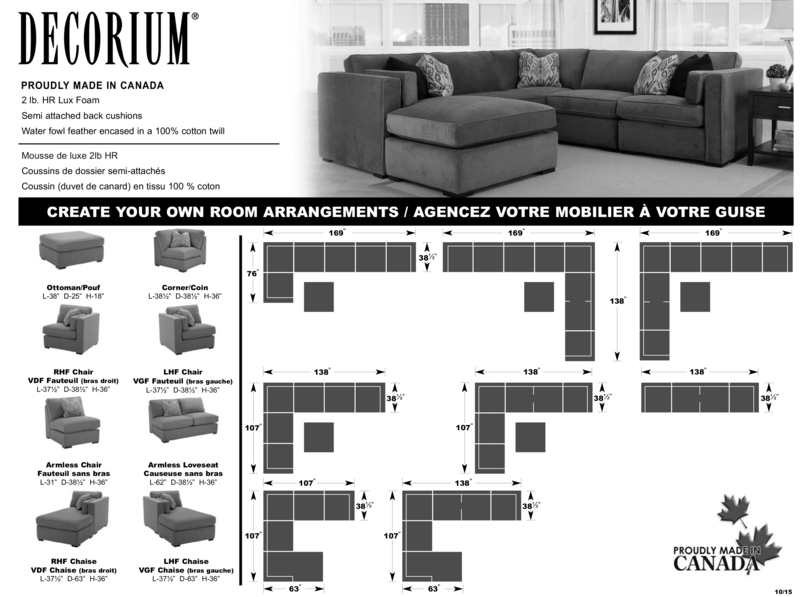 Multiple sectional configurations available. 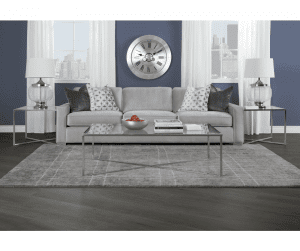 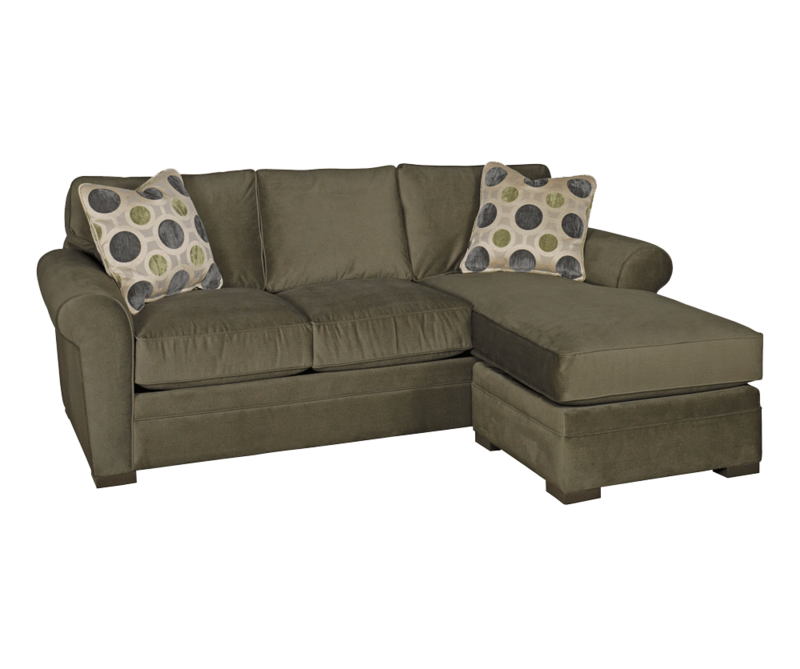 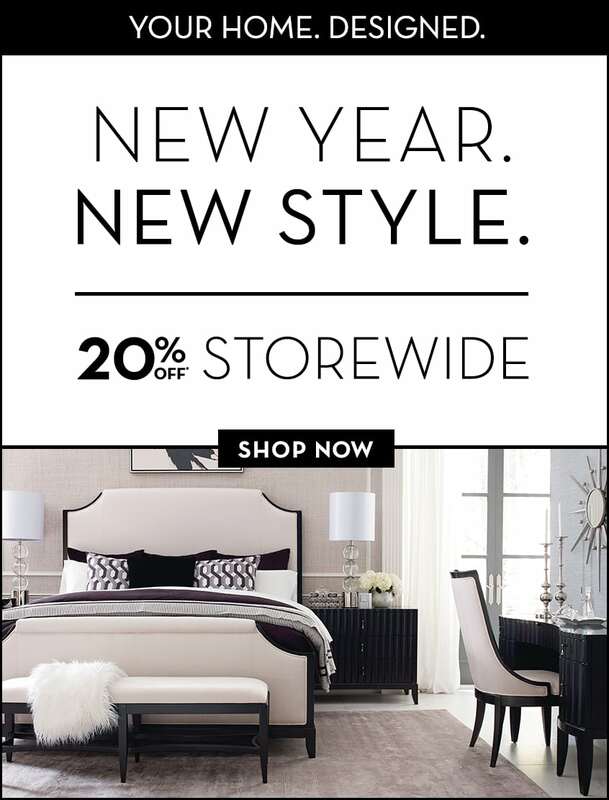 Matching sofa, love, storage ottoman, and many more to maximize your comfy space. 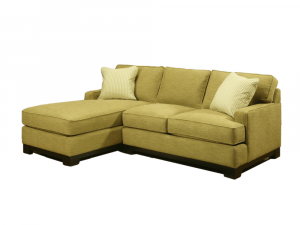 Custom fabric and leather options and leg finishes available. 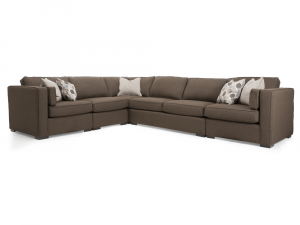 This distinguished leather sectional offers bold rugged style with its thick profile, large comfy cushions and supple leather covering. 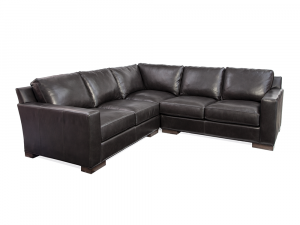 Upholstered in Milano Midnight leather. 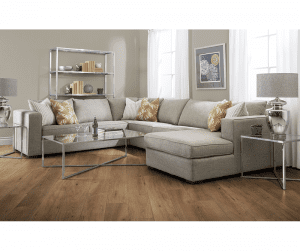 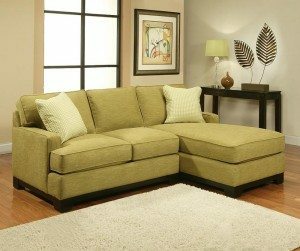 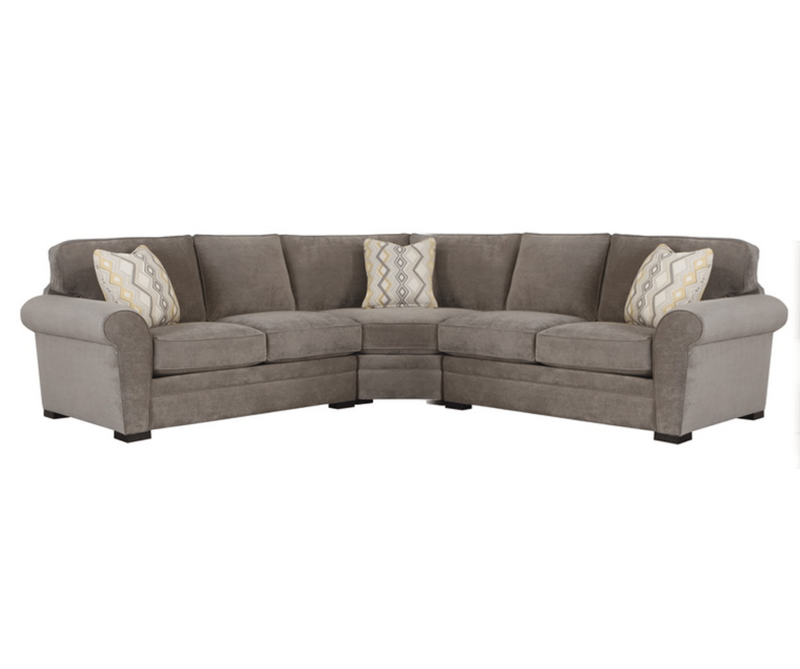 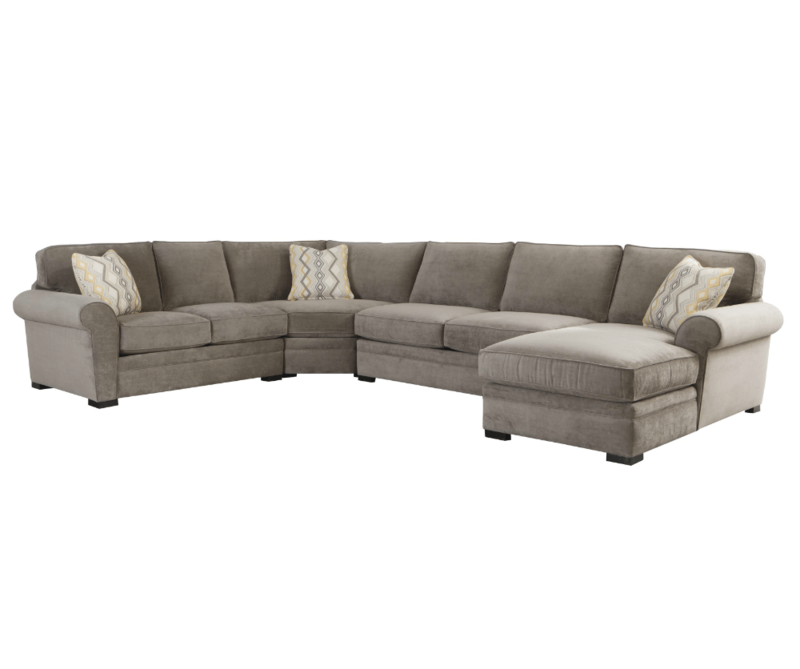 Custom order as a 102″ sofa sectional with reversible chaise, 102″ sofa, 87″ sofa, 72″ loveseat, chair 1/2, or ottoman with applicable upcharges. 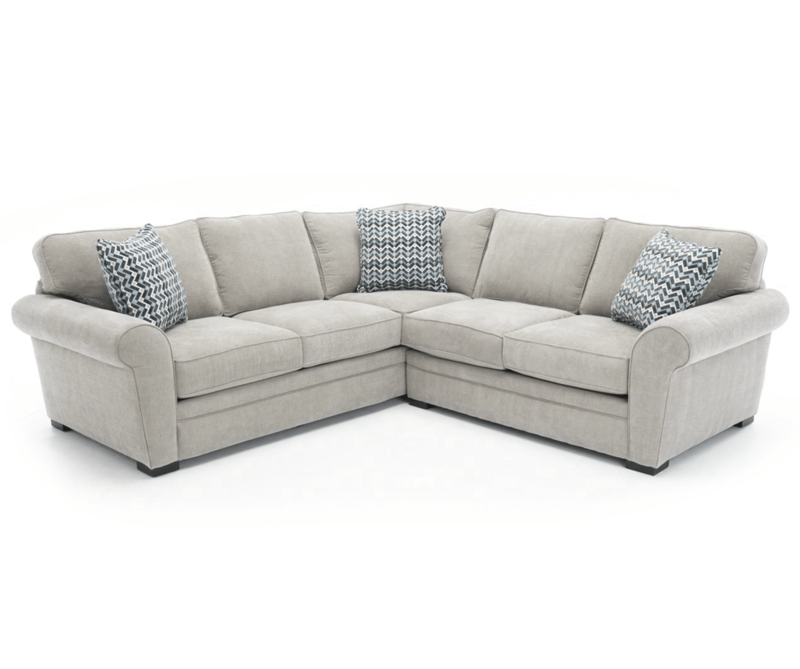 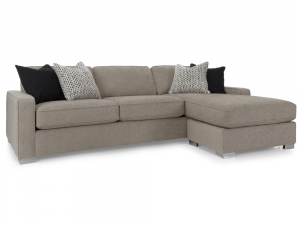 On display in-store as a 102″ sofa as shown in an alluring hot grey fabric, with four fluffy cushions, two pillows in Chanel Grey, two pillows in Kraus Grey and 2″ chrome-finished detachable legs.